This photo released Friday by the Federal Bureau of Investigation shows a suspect that officials identified as Dzhokhar Tsarnaev, being sought by police in the Boston Marathon bombings Monday. UPDATED: April 20, 2013, at 5:44 a.m. While on breaks from his shifts as a lifeguard at the Malkin Athletic Center pool, Chris Finlay rarely chatted with his lanky teenaged coworker about anything other than pool operations. But one day, Finlay decided to break the ice. He asked his fellow lifeguard, a Chechnyan ethnic who had emigrated to the United States from Kyrgyzstan a decade before, what he thought about the notoriously toxic relations between Russians and Chechnyans. On this topic, the usually shy high schooler was outspoken. There is no evidence to suggest that Dzhokhar A. Tsarnaev, the captured suspect that police believe to be responsible for the Boston Marathon bombings, may have been motivated in any way by Chechnyan political considerations for his alleged attack. But Finlay reflects on the conversation now as a hint that his former coworker’s broader outlook may have been troubled. Dzhokhar A. Tsarnaev, 19, is believed today to be a terrorist, but just months ago he was a lifeguard working at a Harvard pool and a high school senior attending the public school Cambridge Rindge and Latin, just blocks from Harvard. On Friday, as police lights flashed through their shuttered windows, Tsarnaev’s former coworkers and classmates were left to ponder an unsettling question: how could they reconcile the soft-spoken teenager they had known with the suspected terrorist whose flight left the greater Boston area in a state of fear-ridden lockdown for a full day? Tsarnaev is suspected to have planted one of the two bombs that killed three people and injured 176 at the Boston Marathon Monday. The search for Tsarnaev and his brother, the other man identified Thursday as a suspect in the bombing, developed into a police chase across Cambridge and Watertown late Thursday night that left an MIT policeman dead and a transit officer wounded. Local authorities did not capture Tsarnaev until late Friday evening, leaving millions of Boston residents cooped up in their homes while police scoured the streets throughout the day. But during their lifeguarding days, Finlay did not think that Tsarnaev’s words about Russia suggested an unusually violent or dangerous broader outlook. Finlay wrote them off to his coworker’s youth and what he presumed had been a difficult childhood for Tsarnaev as a young immigrant. He was also reassured by the fact that when he asked Tsarnaev about his feelings on the U.S., he received a much less disconcerting answer. “I don’t recall him saying that he loved it, but he certainly didn’t say that he hated it,” said Finlay, who added that the Tsarnaev seemed “indifferent” to but not “disgruntled” with America. Mostly, Finlay said, Tsarnaev behaved like a typical Cambridge teen. During high school Tsarnaev was employed by the University, working intermittently as a lifeguard as recently as the summer of 2012, a Harvard official told The Crimson. Several of Tsarnaev’s high school acquaintances said he often talked about the things that occupy the minds of many high school seniors, especially college. Paige C. Newell ’14, who lifeguarded with Tsarnaev, remembered chatting with him about his plans to pursue higher education. 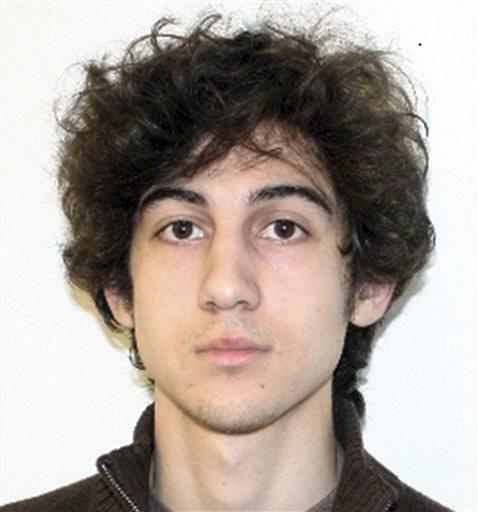 After graduation, Tsarnaev enrolled at University of Massachusetts, Dartmouth, though it is unclear how long he was there. Other acquaintances said Tsarnaev was not only an apparently normal teenager, but also a personable and talented peer. “He was pretty much a friend to everyone, because he was so down to earth and friendly,” said Conor R. Paterson ’16, one of Tsarnaev’s former classmates at Cambridge Rindge and Latin. Classmates from high school remembered him as a shy but normal teenager who went by the nickname “Jahar” and excelled at athletics. All five former classmates interviewed by The Crimson said the person they went to school with was nothing like the “white hat suspect” that the FBI identified on a surveillance video walking away from the blast-zone at the marathon. Paterson said he saw Tsarnaev as recently as November 2012, when the two acquaintances played pick-up basketball at a local park. Paterson said that although Tsarnaev had told him he had recently dropped out of University of Massachusetts, Dartmouth, at the time, he appeared to be doing well. He was the “same old Jahar,” Paterson said. Several other Harvard lifeguards told The Crimson that Tsarnaev had always been an easygoing and agreeable colleague. “Honestly, he made a very good impression on me,” said Inanna L. Carter ’14, who worked with Tsarnaev last summer when she began lifeguarding at the MAC. Carter described him as an entertaining and engaging coworker, who “showed her the ropes” and played jokes on pool patrons “just to keep his job interesting.” She added that she enjoyed lifeguarding with Tsarnaev so much that she asked to continue working with him in the future. Another fellow lifeguard, Agustin Castile, recalled the young man’s intelligence and his “contemplative” bent. “He had a good vocabulary, and he was inquisitive,” said Castile, a sophomore at Clarke College who graduated from Cambridge Rindge and Latin a year before Tsarnaev, and worked alongside him at the MAC pool. And though he had aspirations for higher education, Tsarnaev was hardly a nerd or a lonely academic, according to Castile. “He was an athletic kid, handsome, he didn’t have any trouble fitting into social groups,” he said. Still, Castile took note of some of Tsarnaev’s more strident traits. Acquaintances struggled to reconcile their positive perceptions of Tsarnaev with the news that he is the suspected perpetrator of a terrorist attack. Paterson, who played basketball with Tsarnaev just months ago, said he thought nothing about Tsarnaev’s conduct or demeanor in that game hinted that he might be capable of violent acts. “I had never even seen him be rude to someone else,” he said. Even Tsarnaev’s apparent commitment to religious and political causes came as a shock to many of his peers. According to multiple news outlets, Tsarnaev articulated his views about Islam and Chechnyan independence on several English and Russian social media sites. Hannah S. Firestone ’16, who attended both elementary and high school with Tsaernaev, said the two were briefly members of the same gymnastics program at Cambridge Rindge and Latin. She remembered him as a “really nice, quiet guy,” and noted that he had seemed anything but dogmatic. “I was never under the impression that he was particularly religious,” she said. Paterson said that to his knowledge Tsarnaev identified as Muslim, but was not traditionally observant. “He had always been Muslim, but he drank and smoked,” Paterson said. Even Finlay, the lifeguard whom Tsarnaev spoke to about his hatred of Russia, said that the news that Tsarnaev was a suspect in the bombing came as a complete surprise. “I really wouldn’t have called this one,” Finlay added. Classmates less well-acquainted with Tsarnaev agreed that he seemed like a typical, non-descript high school student in a graduating class of around 400. Becca J. Mazur ‘15 remembered him from the Advanced Placement English Language and Composition class they both took as a “friendly, quiet” sort of student. “He didn’t seem culturally at odds with anything,” said Mazur, who is also a Crimson arts editor. —Matthew Q. Clarida and Samuel Y. Weinstock contributed to the reporting of this story. —Staff writer Jared T. Lucky can be reached at lucky@college.harvard.edu. Follow him on Twitter @jared_lucky. An earlier version of this article incorrectly stated that marathon bombing suspect Dzhokhar A. Tsarnaev had grown up in Chechnya before emigrating to the United States. In fact, while he is an ethnic Chechnyan, Tsarnaev moved from Kyrgyzstan to America. Another Kennedy In the Senate? A new generation of an American dynasty with long-standing ties to Harvard may be poised for political office. Caroline B.
Melvin Jenkins, known by students and frequenters of Harvard Square as a warm and friendly man, died on June 16 in Massachusetts General Hospital.